If you’ve ever skied Deer Valley Resort in Park City, Utah, a few things might have stood out as, well, different than your average ski experience. Maybe you happened upon Montage Deer Valley’s Veuve Clicquot yurt, the luxe orange yurt with plush seating and ultra-soft throws is nestled between the Montage and Empire Canyon Lodge, pouring endless champagne well before the après-ski hour. Or maybe you noticed Deer Valley’s green-uniformed crew cheerfully helping guests unload their skis and gear as they pull up in the drop-off zone or driving the complimentary parking lot shuttles. Maybe you even noticed the attention to small details that exists daily at Deer Valley: the perfectly groomed corduroy, the thoughtfully stocked tissues at each lift, complimentary mountain host tours, and the numerous ski champions choosing to make Deer Valley their home ski resort. The first time I skied Deer Valley®, I was amazed to find I couldn’t get from my car to the lift lines without multiple employees greeting me, asking if they could help, and even offering to carry my skis. I looked around, wondering if they’d mistaken me for a VIP, before realizing they treat everyone like a VIP. Deer Valley Resort is indeed different, with a storied reputation for excellent guest service and amenities. In addition to all the little things that add up to a great ski day experience, here are several ways Deer Valley creates a unique vacation experience for every guest and every family. 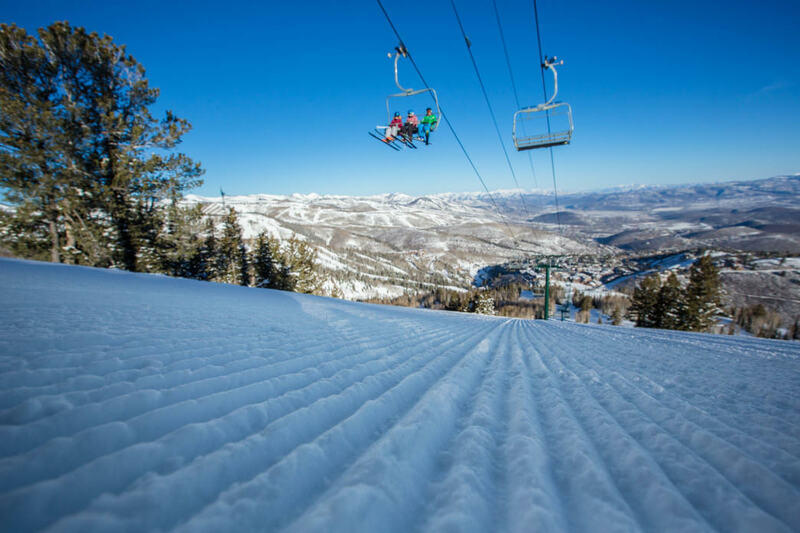 You’ll always find plenty of room on the mountain at Deer Valley Resort. Yes, you read that correctly. Deer Valley limits daily ticket sales to about 7,500 skiers per day. While their uphill lift capacity can move more than 50,000 people per hour, Deer Valley cares about the entire guest experience, and that includes time spent in lift lines. The number of daily skiers is determined by mountain and weather conditions as well as dining capacity, in an attempt to avoid crowding in restaurants and lift lines… your time should be spent carving downhill, not waiting at the bottom. You can ski with Olympians at Deer Valley Resort. When you Ski With a Champion at Deer Valley, the resort’s Ambassador of Skiing, Heidi Voelker, will personally see to it that you’re paired with either herself or one of six other snowsport athletes for an unforgettable experience. I know that the day I skied with Heidi, it was a thrill, and since Deer Valley is her home mountain, she was able to show me hidden stashes, bowls, and ridges I didn’t even realize were within Deer Valley’s boundaries (yes, Deer Valley Resort has more expert terrain than most people believe). Ski With a Champion athletes can ski with individuals, families and groups for half- and full-day adventures, and access to the ski school lane at all chairlifts is included, a perk second only to the honor of skiing with a world-class athlete. Want Deer Valley practically to yourself? The resort’s First Tracks Program provides private, early lift access with guided skiing from 8 a.m. to 9 a.m. off of the Wasatch Express chairlift, for those who sign up in advance on select days. It’s not necessary to be an expert skier to enjoy this groomed run experience. Instead, First Tracks is tailored to the guests, with strong intermediate ski level required to participate. The Deer Valley Ski School is known as one of the best in the country. Deer Valley Resort describes their ski school as the Gold Standard of Instruction, and they’re not kidding. 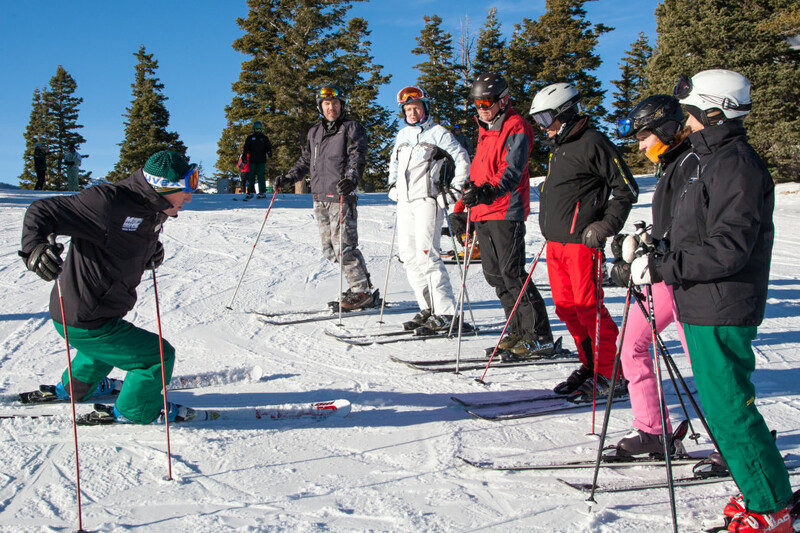 If you’re unsure about the sport, unfamiliar with the gear and equipment, or simply nervous about spending a day out in the elements, Deer Valley is the place to learn. You’ll be pampered but still pushed, just enough to get to the next level. 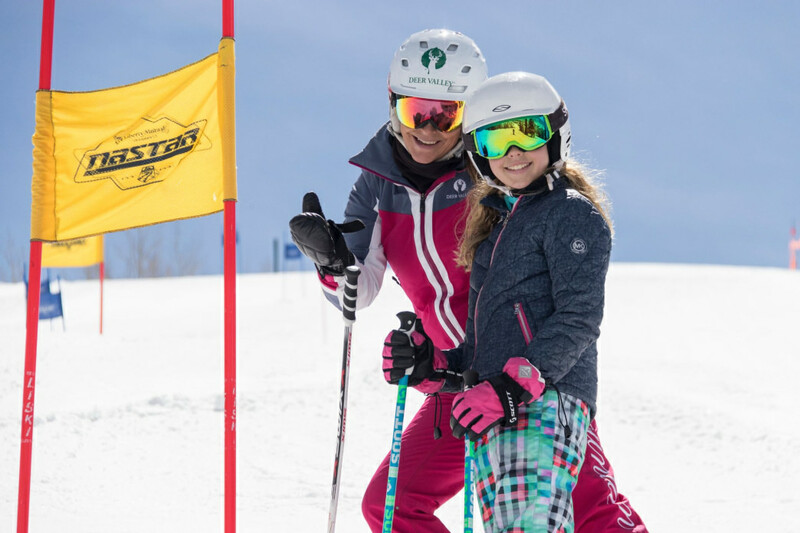 Deer Valley’s ski instructors not only care about helping you progress on the day of your lesson, but are focused on long-term relationships. To make the most of your instruction, sign up for Private Lessons, available for all ages and ability levels (advance reservations are recommended, especially during the holidays and the month of March). Deer Valley also offers Specialty Clinics including their Mahre Training Center Ski Camps, run by U.S. Olympic medal winners Phil and Steve Mahre, who won gold and silver medals in the 1984 Winter Olympics in Sarajevo. Youth lessons and childcare (for children ages 2 months to 12 years) is also available at Deer Valley, of course. Whether you take advantage of one of Deer Valley’s exclusive programs or simply hit the slopes with your crew, I challenge you to find a single Deer Valley team member who doesn’t make you feel welcome, offer you help, or point you in the direction you need to go. Originally written by RootsRated Media for Deer Valley. I wish you would join the Mountain Collective group of resorts.